Fletcher’s Slip | Marine Life Society of South Australia Inc.
Fletcher’s Slip was located on the north bank of Gawler Reach on the Port Adelaide River at Birkenhead. It was the first slipway to be established at Birkenhead. It was built by Henry Fletcher at his shipyard between 1849 and 1851. It is said to have been SA’s first slipway. The slip and its associated buildings were built on reclaimed land. The land had been built-up using silt from the dredging of the river bottom. An 8-man windlass with reducing gears powered the first winch used for the slip. The slipway was later lengthened, enabling it to take two ships simultaneously. Following the completion of Fletcher’s slipway in 1851, several more slipways were established in the immediate area. These included slips owned by Messrs. Jenkins, Playfair, Chant, Taylor, Murch & Moore, Thomas Cruickshank and Thomas Swiggs. Fletcher later installed a steam-powered winch to replace the man-powered one. Within about ten years, the original slipway was not able to work to full capacity, causing Henry Fletcher to purchase a patent slip from the Dunnikier Iron Company, a foundry in Kirkcaldy (near Dunfermline), Fifeshire, Scotland. This new ‘Dunnikier’ slip was shipped from Scotland to Port Adelaide in two lots during 1862. The installation of the slip began that same year. It was built on the western side of Fletcher’s Slip. The new slip was very large and designed to take 2000 tons. It extended along the river bottom, 360 feet into the river, approximately to the middle of Gawler Reach. The installation of the Dunnikier slip* was completed by 23rd January 1867. The two slips continued to work simultaneously. In the 1880s, Henry Fletcher began to excavate a graving dock (dry dock) on the western side of his Dunnikier slipway. The graving dock had been almost completed, to the point where the end gates were about to be installed. It was, however, abandoned around 1896. Low high tides and the lack of bedrock for a base in the river both apparently made it impossible to build a graving dock along the Port Adelaide River (affectionately referred to as just the ‘Port River’). The site became a popular swimming spot after the abandonment of the graving dock. It was used as the site for several swimming competitions. The graving dock site is situated on the western side of the Dunnikier Slip site, with a small piece of land between the two. The graving dock became known as Fletcher’s Dock and was used for a dock as part of the Glanville Dockyards complex. 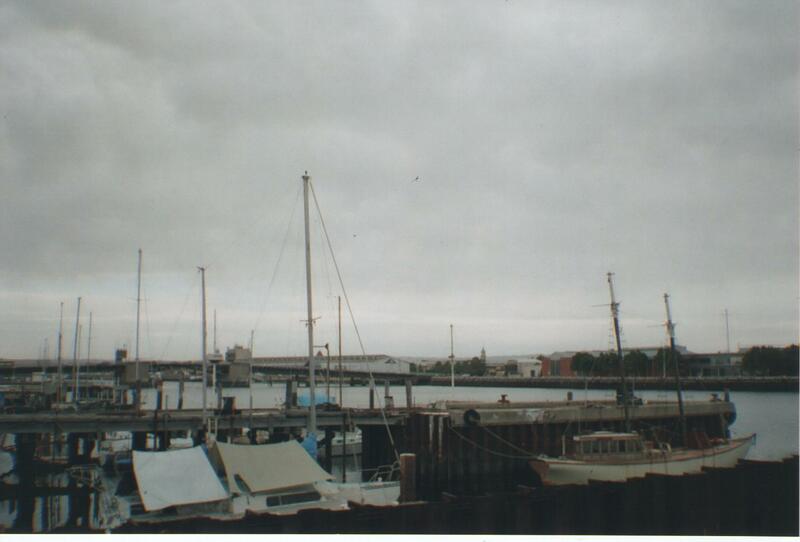 The Port Adelaide Sailing Club was built next to Fletcher’s Slip in 1897. The Outer Harbor opened in 1908 and many of the larger vessels no longer came down the Port River to the Inner Harbor. 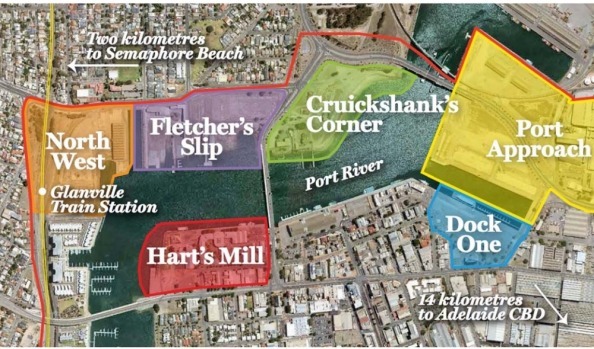 The South Australian Harbours Board acquired Fletcher’s Slip in 1917. 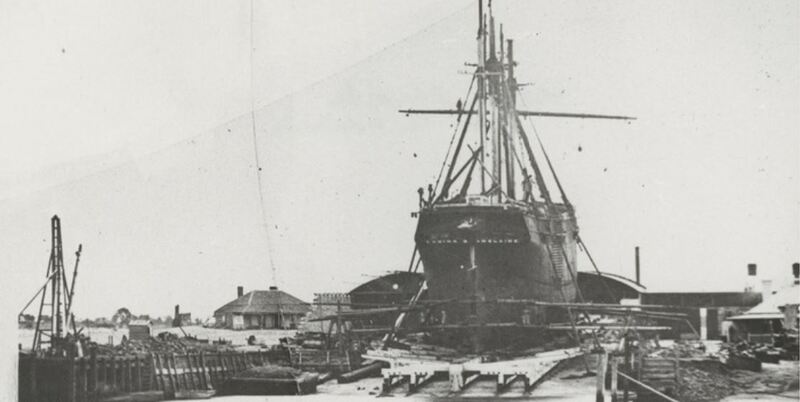 The SAHB used the proposed dry dock area as a berth for laid-up dredges. The Adelaide Steamship Company leased the slipway and yards from the SAHB in 1920. The ‘central’ slipway in the area (Jenkins?) had to be dismantled to make way for the construction of the Birkenhead Bridge, which was built next to the sailing club. The ‘central’ slipway was rebuilt adjacent to the end of Fletcher Road. In the mid-1950s, the SAHB carried out some extensive alterations on Fletcher’s dock. Adelaide Steamship’s subsidiary company, Adelaide Ship Construction Ltd, was established on the site in 1957. It was about this time (in the 1950s) that an electric winch replaced the old steam one. It continued to function until at least 1987. According to “Sagas of Steam and Sail” by Neil W. Cormack, “the Dunikier (sic) slipway closed in 1991”. Ruth Jenkins of Flinders University wrote a paper titled Fletcher’s Slip: a case study in the application of Multiple Perspectives Methodology in historical archaeology about Fletcher’s Slip and the Dunnikier Slip for her Honours degree in 2004. (The above details are taken from my article titled The Dunnikier Slip (& Its Links With The City Of Adelaide in the MLSSA Newsletter, April 2008.